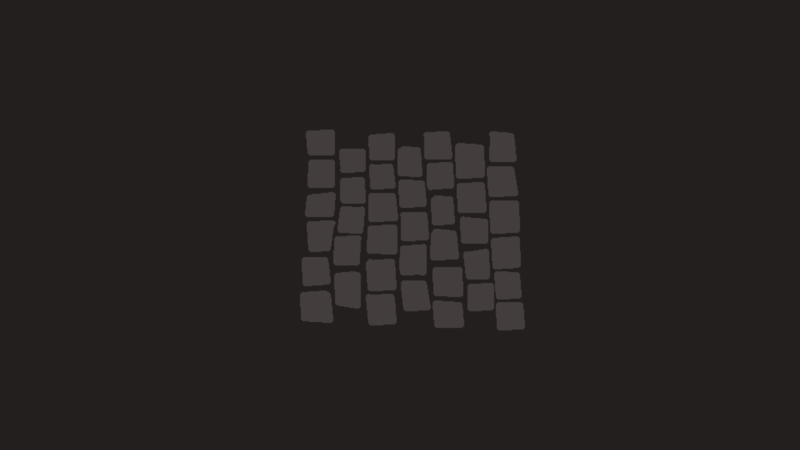 An overview in three easy steps of the process I took in creating a simple cobblestone floor for some stables in Innkeep. Run your own fantasy world inn. Serve your guests in the evening, and keep them entertained. Engage in conversation to find out useful stories, rumors, tales and jokes. And most importantly, to find out which of your guests has something valuable on them. Then, in the dead of night, help yourself to some of their belongings. Your entourage of orphans, refugees and vagabonds are relying on you to keep the ship afloat and build a flourishing establishment. Major influences include Ultima 7, This War of Mine, and Les Mis. 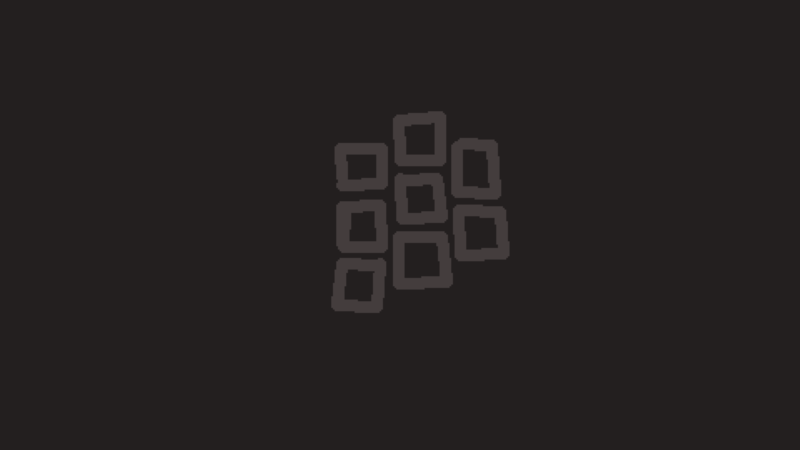 Visit my Twitter feed for updates on game development progress. You can also check out the game site here, and my game development videos here. Greetings all. 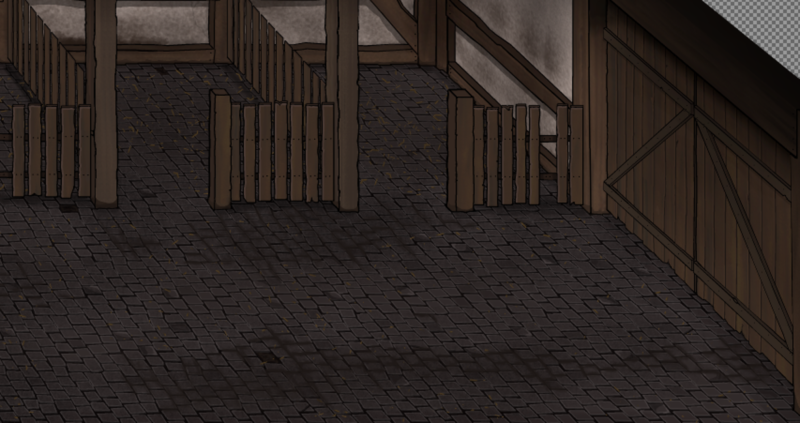 After some recent finishing touches the cobblestone floor for the stables is now more or less complete, and I think it came out pretty well. I thought I would share some images showing the process from start to finish, along with some explanation of the method I used. I think it's a quite simple but effective way of doing flooring, and some of the principles involved would be applicable for just about any kind of background surface art. There's three basic steps. Firstly, creating your basic art. 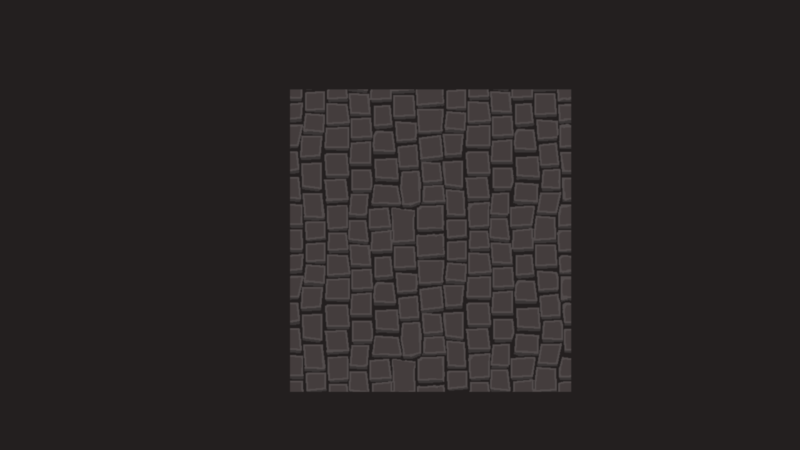 Secondly, turning it into a repeatable tile, so you can use it to fill out a given space. Thirdly, adding on details in layers to help break in the new surface, making it look less repetitive. 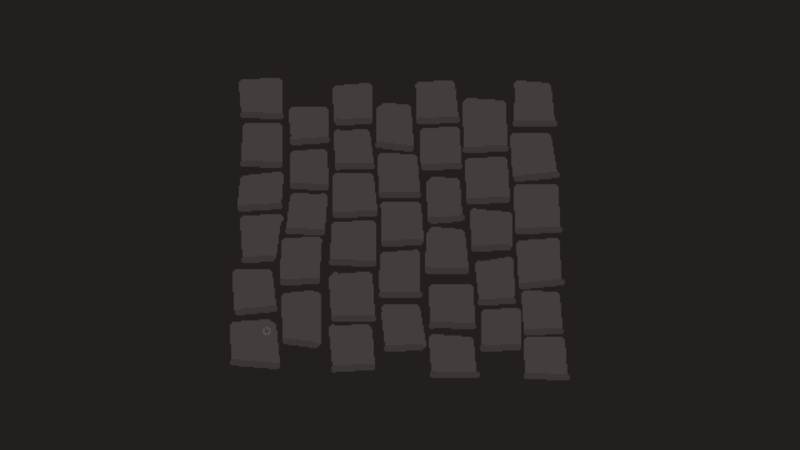 Creating the basic geometry of the cobblestones. Filling them in, and expanding a little. Adding a bit of depth. 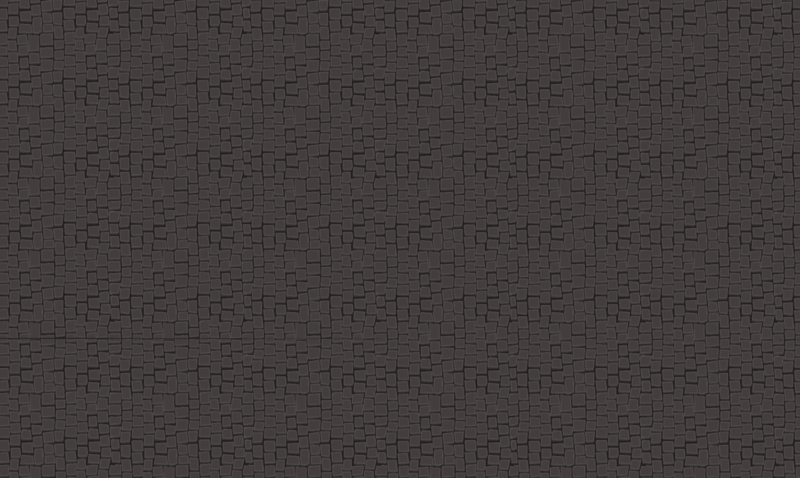 Adding some highlights, and making it into a kind of basic tile. 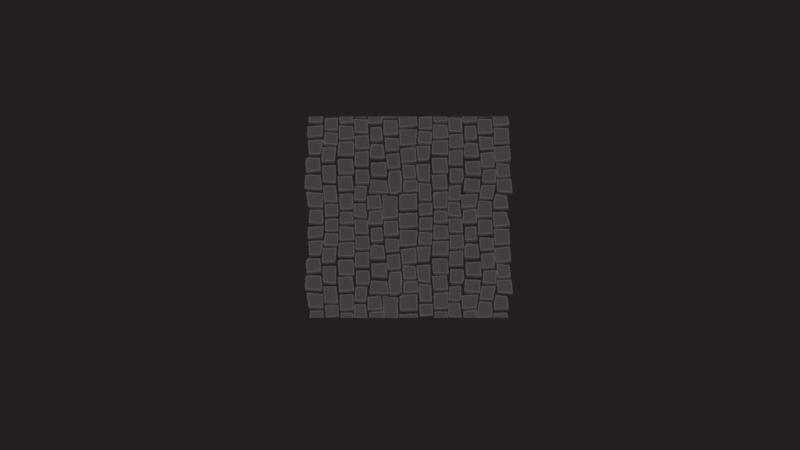 With the basic art element ready, it's time for step two: turning it into a repeatable tile. 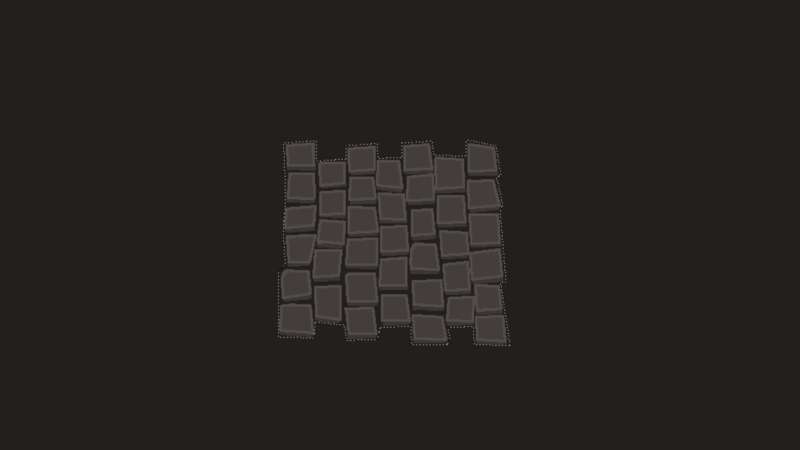 After expanding the size a bit, I am able to make the tile repeatable top to bottom. This required a bit of alteration and some fiddly copy pasting, but it isn't too tricky. Then a bit more wrangling to make it repeatable left to right. With the tile ready, I can expand these beauties to fill any sized space. 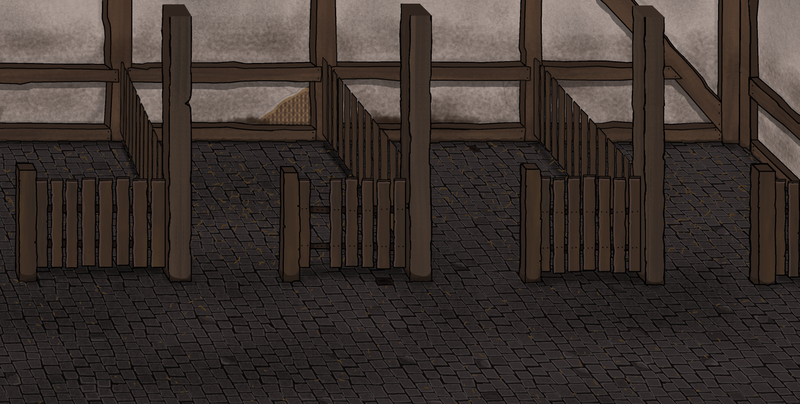 Using some basic tools, I fill out the floor of the stable, and adjust for perspective using a simple GIMP tool. Note that I've also gone ahead and sprayed it a bit here and there to make the surface height appear uneven. We are already getting ahead ourselves though, because this is the start of step three! In step three, we adding on details in layers to help make the surface look more organic. 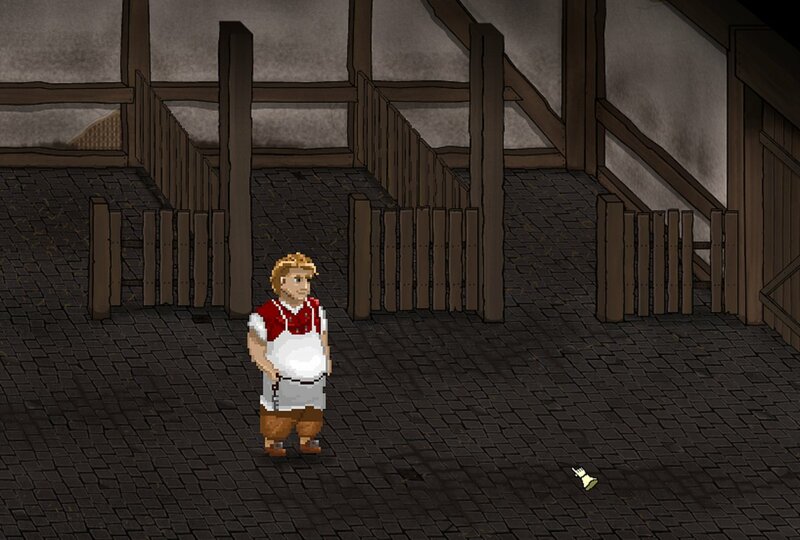 I started out by adding some old straw (I'll add a bunch more later, but as separate sprites (i.e. not baked into the basic sprite.)) I also adjusted the look of individual stones here and there in a random manner, to help make the floor look more worn, and give each little spot a bit of a unique feel. Finally, in the darker "lower" bits of the floor, I added some grime by softly spraying in some brown. Here the cobblestones are partially pressed down into the grime and dirt of the floor. This bit of work took maybe twenty minutes for the whole space, but really helped to complete the look. And there we are. The completed floor.